An antenna upgrade for U.S. Navy submarines is being provided to improve GPS anti-jamming capabilities. Mayflower Communications Company, subcontractor to Lockheed Martin Sippican, is applying its Submarine Anti-Jam GPS Enhancement (SAGE) capability to the U.S. Navy Multifunction Mast Antenna System (OE-538B) upgrade to improve submarine communications and meet Navigation Warfare (NAVWAR) requirements. The SAGE (NavGuard 501) GPS anti-jam unit. The Mayflower SAGE — a variant of Small Antenna System (SAS) — was developed specifically for inclusion on Submarine Platforms to support U.S. Navy requirements for GPS anti-jam. The SAGE’s small size and feature set make it capable for ease of integration by Lockheed Martin Sippican into the OE-538B antenna mast. The SAGE is a high performance and low size, weight and power (SWaP) cost-effective antenna system that will enable the U.S. Navy submarine fleet to operate in GPS contested or denied (NAVWAR) environments. 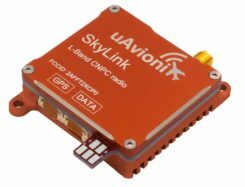 The SAGE (NavGuard 501) can supply clean GPS Signals to multiple GPS receivers from a single antenna and is compatible with C/A, SAASM P(Y), and M-code receivers. The SAGE fits he small SWaP requirements of the OE-538B antenna mast. The SAGE is Mayflower’s latest federated, affordable anti-jam solution that leverages proven small antenna system (SAS) technology and provides Iridium capability in an integrated antenna. The SAS solution has been extensively tested by the federal government on multiple platforms. 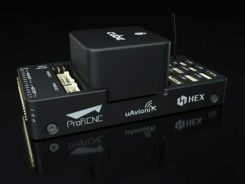 The SAGE is the highest performance and smallest GPS anti-jam federated solution with Iridium capability in the market. The SAGE AJ solution offers an affordable SWaP-C alternative over larger and more expensive existing anti-jam systems. The Space and Naval Warfare Systems Command (SPAWAR HQ) awarded the sole source contract for the development of an OE-538B antenna upgrade and procurement to Lockheed Martin Sippican/Granite State Manufacturing Submarine Antenna Joint Venture. The contract is in support of the Program Executive Office for Command, Control, Communications, Computers, and Intelligence (PEO C4I), Undersea Integration Program Office (PMW/A 770). Mayflower was selected by the U.S. Navy and Lockheed Martin Sippican to design, develop, and integrate the Submarine Anti-Jam GPS Enhancement (SAGE) (NavGuard 501) product. Joseph Thomas, Mayflower’s Director of Government Programs, said, “The SAGE product has given Mayflower the opportunity to support a U.S. Navy National Strategic Level Platform and to expand into the next generation of small SWaP NAVWAR GPS Anti-Jam systems. The SAGE ensures we can continue to offer the warfighters the very latest and most efficient technology to support operations in an A2AD Environment”. Mayflower is working closely with Lockheed Martin Sippican to complete integration and environmental qualification of the SAGE to support the OE-538B program requirements.